Follow our range times on FaceBook. If we are out ther come and play. We train all levels and skills. Families welcome. Home invasion is one of the fastest growing crimes in America. Prepare!! The only way for evil to triumph is for good men and women to do nothing!!! Contact us for firearm classes offered. You can also text or call 775 741 0735. Come and try this. Fn PS90. We are a great source for your Bachelor or even Bachelorette Party. Barista saves life by being armed. Research the numbers. 70% of the shooting are gangs and police involved. We love to train Ladies. Nevada Strong! 150 Years and still Battle Born. 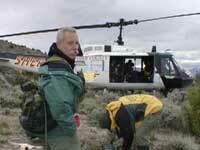 We support the Nevada National Guard. Supporter of Wounded Warrior Program. Please support our injured troops. We do bachelor and bachelorette parties. Bring the group. We provide everything. Pick one package per person. All packages include eye and ear protection, targets, ammo, special top shot shoot off, bachelor/ bachelorette roasting, special name tags for the person of honor and awards for the best shot. Want to learn how to clean it. Let us show you how! Give us a call at 775 741 0735 and we can go through it with you. We can show you how to disassemble and clean it. We will also show you some dry fire practices you can do before you go out to the range. Prices start at $50 per person. We will use our new training room in Reno. This is class time and range time is extra. Did you know that if the existing laws were all applied, illegal gun users could be put away for a long time. An example is if an out of state resident buys from a dealer and makes a false or fictitiously statement in purchasing a firearm, the act is a felony and is punishable by 10 years in prison. Did you know it is a federal felony for and individual to sell, or give a firearm or ammunition to a convicted felon and the penalty is 10 years in prison for each count for each gun. It is a federal felony for any individual to sell or give a firearm or ammunition to a person unlawfully using or addicted to a controlled substance. The penalty is again 10 years for each count. Looking for survival food. Try one of our friends that has just started a business. Check it out at Northern Nevada Wise Food. Let us know what you think Thanks. Check out this link. 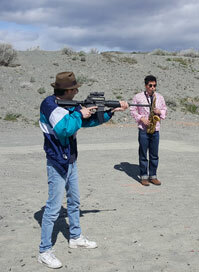 Using an AR15 as a musical instrument. Shoot the end disks and the target rotates. Try your skill. I went through 12 years of Military Schools prior to Attending West Point. I have done executive protection for a living. Let us answer your questions and train you. Shooting packages and prices may change without notice. IMPORTANT NOTE: Remember it is up to you to know if you are legal to bear arms and go to a shooting range. If a member of your group is a felon and in a situation where they are able to physically pick up and fire a firearm, they are at risk of breaking the Federal Firearms Act. 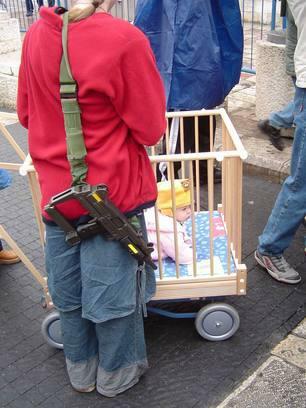 This law prohibits a felon from being near weapons which they could take control. If they pick up a gun, they are officially a "Felon-in-possession of a firearm". We don't ask but everyone signs a release stating they are legal to shoot. So, if you don't have the right to legally bear arms, think twice about picking up a firearm and shooting. Specials: $395 introduction package to shooting and gun safety. Up to 5 hrs Great way to get your friends introduced to recreational shooting. Two firearms provided. Ammo is on you. How to carry a concealed weapon. $40/hr individual. Range fee usage: To open the range it is a one time fee of $250. (If packages total $600 or more, Range fees may be reduced or waved.) If no shooting packages are purchased and you use your own ammo and firearms, then it is $35 per hour per person. ( We will provide two firearm with the range fee. Ammo is extra. You may bring your own legal firearms and approved ammo that will be checked for use. No armor piercing , green tip, metal core or other ammo that may cause damage to the targets. The range fee may be waved if shooting packages that are purchased total more that $600. Shooting Tip of the week. 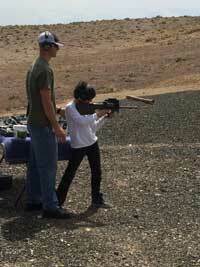 Learn to Shoot with us (LearnToShoot.us this web page). We have personalized classes for individuals and groups. Tell us you needs and budget and we will design an outting for you. ****Felons in possesson of firearms are breaking the law. Military, Law Enforcement, Family and School Employee discounts available. Special: Purchase any two packages of $180 or more the third one is 30% off til June. You must reference this posting for discount. Home invasion is one of the fastest growing crimes in America. Let us help you prepare and plan for that. We have classes. We will come to your home to develope a plan. We will teach you how to shoot. Family firearm introduction for 5, $540. Includes 4 firearms, limited ammo, eye and ear protection, instruction and use of range for 3 hours. Additional time $100 per hour per family. Additional ammo is available or you may bring your own with range apporval. If you do not know the difference between single and double action, striker fire and hammer fire pistols this package is perfect for you. Is a revolver or semiauto better for carry protection? Check our packages out. We can provide you the education necessary for you to make a sound decision. This package for you. 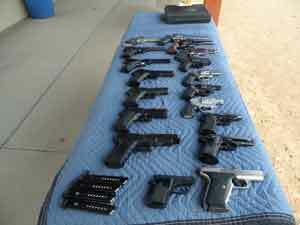 It includes all differnt types of hand held firearms to help you decide 10 pistols in all. Only $250 and we include inital ammo and basic instruction, eye protection and ear protection, and insturction. Set this up today. 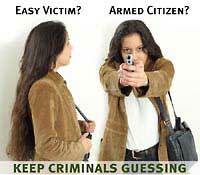 We come to your home to help you make a plan to defend yourself and your family. Then day 2 we go to the range to practice engaging targets. $650 for 2 days of instruction. Additional individuals$200 per person. 6 Hours total. Before you condemn firearms, give us a chance to educate you on your rights. Firearms are a tool and there is a lot of misinformation out there. If you truly want to be in the know, give us a call and we have a special program just for your. 775 741 0735. Private range use is Reservation only. We are not a walk on. If you have a range near you, we can meet you there too. When making reservations, please be on time. There will be a $100 per hour charge for every hour you are late. No shows will be charged full rate of packages selected. Please when you pick your time and confirm, be there. There is a rescheduling fee when changing shooting times within 24 hours of your reservation. Why deal with other shooters and noise at a public range? We have a live fire shoot house. If interest, ask us. Night time and low light shooting and training available upon request and with reservation. Family and group packages usually run 3 hours, 4 members for $450 per family. If longer range fee will be additional $100 per hour after 3 hours. If you do not see what you wish, we can build a package for you. Give us your budget and let us work for you. We shoot Rain, Snow, Sunshine anytime any weather.. Packages totaling less than $600.00 may be charged a range fee minimum of $100. Thru April 2019: Buy 2 Military Packages at $225, the third one is $160. You need to mention this special to get the discount. WHAT TO BRING: Please bring a hat, proper clothing, water, snacks, a desire to shoot better and a friendly positive attitude. Restrooms are out doors, camping style. Do not bring drugs, alcohol open toe shoes, filp flops or sandals. Over 40 metal targets at differents distances from 3 feet out to 400 yards. Our long distance range has been shut down to the extreemly high fire danger. We also have moving targets, shoot trees, spinners, a Texas Star and exploding targets. Show us how good you are. We have the best tactical range around. You are shooting outside with no one else to bother you. Rent the range for your group for $800 for 6 hours. Want to practice 3 gun, we can set up any course to your specs for practice. Give the gift of protection. Call us to set up a training session for you or your loved ones. We also take beginners to expert shooters. Come and test new guns, increase your skills or just have fun. Join our on call list. We are starting a special list for those who wish to be notified when we plan to be out at the range. Rates for range use while we are there will start at $25 per person per hour. This will include targets and a range master assigned to you. Text us at 775 741 0735 and give us your name and place in the text "Range Time". We will let you know when we are at the range and allow you to make a reservation to join us. You can also join our RangeTime facebook site. We will post when we are at the range. All we need is for you to text us you wish to come out. Night Time Shooting is available. Get Training! Learn the truth about guns. We will come to your location or home and provide you a firearm safety, familiarization, dry fire instruction and practice drills BEFORE you go to the range. This is a great way to prepare for your first ccw class and be comfortable with others before you go. Range Rules: Please review before you shoot. eye protection, ear protection instruction, Rangemaster and shooting coach. 1. Personal Shoot and Move Insturction. We offer personal one-on-one firearms training on moving and shooting. This includes barricade and obsticle shooting. Rates start at $100 range fee and $35 per hour per person.The fees include range time, instruction, targets (both metal and paper). If you dont have a firearm we have those available for rent. Specalized training and real life situation scenarios avaliable. Come learn and be safe. 100 rounds are required and not included in the package. You can bring your own ammo , if we approve it, or you can purchase from us. We instruct on close quarters active shooting. Learn how to push or pull your attacker on or off and shoot from the chest. $100 range fee and $35 per hour per person. 4 students per instructor. To take this class, you must be familiar with your firearm. 3. Long Distance/ Sniper Shooting instruction with firearm. 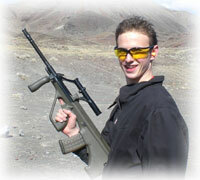 Rent any rifle for $200 for 2 hrs per person and receive Long Distance shooting instruction. 20 rounds. Targets out to 1 mile. Additional rounds at $1.00 to $1.50 a round depending on caliber. (excludes 50 Cal BMG/ AR50 Rifle). Bring 3 people and total package is $550.00 for 4 hours. 775 741 0735 and we will get you set up. New to shooting, let us show you how to clean your firearms. We are always open to answer your questions!!! We are open all year around. Call and make your reservation to shoot with us today. You will be glad you did. Birthday parties, Bachelor and Bachelorette parties, family gatherings, corporate team building or any special event. Our Bachelor and Bachelorette parties include a top shot shoot off to win bragging rights for the rest of the night. We have done over 800 Bachelor and Bachelorette parties. We know how to have a blast. Safety, fun and learning are our main concern. We use one range master for every 3 shooters. Our range masters all have practical firearms experience. We use military vets (current and active), former law enforcement officers, bounty hunters (don't be a felon), executive protection specialists as range masters and instructors. We run a safe, exciting and fun shooting environment. If you are looking to try some different hand guns, we can meet you at local ranges. Call or text for pricing. Sometime we can meet you with in an hour. We have private classes too for individuals, families and groups. Weather info for the week. We use metal reaction targets. Paper targets are upon request. Come try your skills. Please Note: Reservations are required. For shooting the same day, reservations should be made by 0800 that day. Sometimes we can accept sooner if we are out at the range. Short notice fees maybe added. Phone receptions is limited at the range. Texting is the best. Rules: Please know these before you come on the range. We will go over these several times while you are at the range. 1. Finger off the trigger at all times until you are ready to shoot. 2. Firearm is treated as always loaded. 3. Do not point the firearm at anything you do not intend to destroy. 4. Know what is behind the target before you shoot. 5. Have fun and learn. As of 1 April 2018, There is a $35 per person charge for those who do not wish to shoot but want to come out to the range and watch. If observer decides to shoot, this fee can be rolled into a package. Alcohol and drugs are not allowed on the property. If someone appears intoxicated, high or impaired, they will not be allowed to participate in range activities. Convicted Felons, whose rights have not been restored and those with restraining orders are not permitted to possess any firearm or ammunition under federal law. Possession under federal law means even holding a gun. Please be aware. We do ask and you will sign a form stating so. 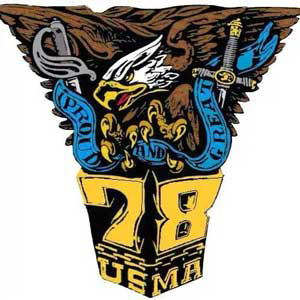 Try our US Military History package. 1903, 2-M1 Garand (30-06 and 308), two M1 Carbines (30 cal and 9mm), Tompson Semi auto, Mac 10 semi auto, Mac 11 full auto, 1911 45, Ar-10, M-14, Ar-15( long and short Barrel) , 870 shot gun and AR-50 all for only $300 per person. We have a Russian Package. Starting at $140. 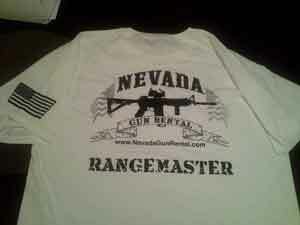 Check us out on: Yelp.com/ nevadagunrental. Special: 50 Cal BMG special: 8 rounds $199.00pp . Includes our private range. Add to one of our other packages for $100. Special: Shoot our guns and your ammo. Give us a call!! 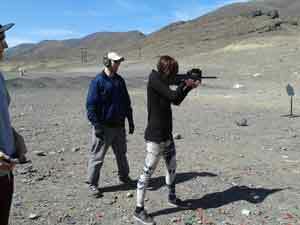 Special: Ladies Shoot : 3 hour course on learning to shoot. Course includes familiarization training on 2 pistols, one rifle and shot gun with limited ammo for only $200.00 pp. You do not need your own gun. Call or text us at 775 741 0735 for more information. We have exploding "Tannerite. $15 per target" Due to fire restrictions, Tannerite is not permitted in Washoe County or Caron City. We allow Tannerite. A little about me. West Point 78 Alumni, US Army veteran, local search and rescue team member for 17 years and still active, former casino owner with casino operations for over 35 years, criminal investigator, executive protection professional, Nra life time member, licensed armed guard carry, Nra Range Safety Officer , Reno/ Lake Tahoe recreation specialist and Nevada State Board of Search and Rescue. Interested in learning the secrets to using your gun against an armed attacker? Tired of just going to the range and shooting? Do you want to learn the tactics and techniques you need to actually use your gun as a tool of self defense? We have all types of firearms and instruction. We have the famous H&K MP5 sub machine gun as well as the Mac11. Want to rent and shoot other firearms? Rent an AK47 and compare that to a Steyr Aug or an M-14. We have vintage combat rifles too! M1 Garand and the 30 caliber carbine. Try them all. Give us a call anytime and let us answer your questions about renting and instruction on various firearms. Minimum age is dependent upon ability to focus and pay attention. We have had shooters as young as 9 years old. If you want to use your own ammo? Call us and we may approve that. Come make a morning or an afternoon of it. Want to camp overnight and practice night firing? We can arrange that too. Call us at 775 741 0735 anytime. Really we mean anytime! Who knows how long we will be able to keep our guns. It's all in the hands. The hands are the part of the body that interact most directly with a handgun. And how the gun reacts to its own recoil depends on how the shooter grips it. If you do not have the proper grip or stance, most smaller semi autos can misfire. Let us help you find the proper grip and stance for you. Everyone is different. Body Mechanics are different for everyone. You don't purchase clothes or cars with out trying them out. Your protective firearm is no different. What is good for the goose is not always good for the gander. . Schedule an appointment today? Call or Text 775 741 0735. Reason for high capacity mags and semi autos. Mom shoots intruder with revolver and runs out of ammo. What if there were more invaders? Story here. 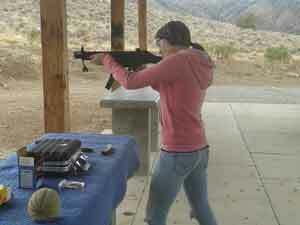 More Ladies are learning to shoot and carry guns. Video here. Do you need personal protection? We can help. We have access to licensed security groups in Northern Nevada. Give us a call. We train ladies and families. Ask for our specials. 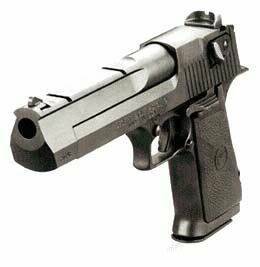 We have 50 Cal Desert Eagle to try. Give it a shot! Call us and tell us what you need. We will make it special. Fees start at $1250 which includes 4 machine guns and 200 rounds each. Add any of our other packages at a 25% discount to this package. Make a day of it. Full autos go fast. These are subject to availability. One week in advance request is a minimum. Guns are not stored at the range and maybe committed. There are 80 Million gun owners in the United States and only 800,000 law enforcement officers. Do the math! We have a great selection of firearms. Long distance instruction. We will help you sight in your rifles too. We recommend a hat, sun glasses, sun screen lots of water, long pants and close toe shoes or boots. Any products purchased through Amazon on this sight or our other sites (MountainSurvival.com RenoGunRental.com, LakeTahoeRecreation.com) , a portion will go to support Washoe County search and resuce volunteer teams. Help save a life! Practice guns are great. I use them all the time for placement, drawing, retention. 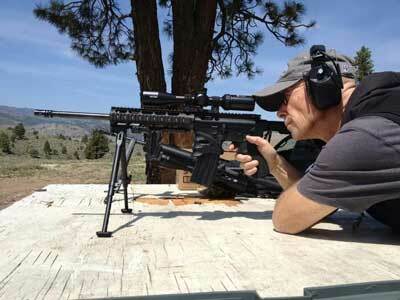 Long eye relief scopes work the best for most shooters. Don't get Scoped. 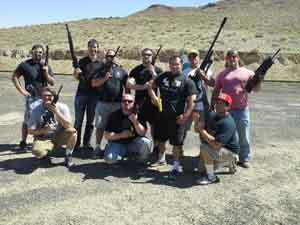 Reno Gun Rental and Nevada Gun Rental .com is part of Nevada Recreation Inc. and Survival Inc. Pistol Special: Shoot any 5 calibers pistols (ammo included) for only $130.00. Additional rounds available. Additional guns starting at $20. You can try them all. Pick any 5 from 38 special, 380 cal, 9mm, 357 mag, 44 mag (2 rounds), 44 special, 45 caliber, 45 Long Colt (2 rounds), 50 cal AE (1 round only) and the Sig 2022 . We will throw in the 22 pistol for no charge and give you 10 rounds to shoot to practice ( you can bring your own ammo and shoot longer). Determine which caliber is right for you. Try before you buy. Other ranges charge $35 per pistol. 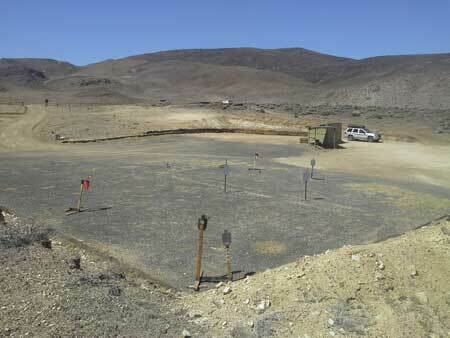 We provide instruction, reaction targets or paper targets and an unique shooting environment. New to shooting? Add $150 to the above package and we will provide an instructional up to two hour on basics, tactical shooting or defensive shooting. Shoot an AR-15/ Slide fire, Ak-47 Slide Fire, (Desert Eagle 50 cal or 454 Casull),Tavor , Fn-2000, Styer Aug , Mp5 and Ar-50 BMG for only $200.00 pp. Includes rounds for 223, and AK and (1 round for the Desert Eagle 50 cal or 2 rounds 454 casull with 3 rounds of 45 long colt). Machine Gun receives 15 rounds. Additional full mags are $40 each excluding the Desert Eagle. Add any other gun for $25. Packages can not be sharred. Give us a call or text at 775 741 0735 to make your appointment. Military and Law Enforcement Discounts available.